Home / General / Who Is the Best Organic Mattress Supplier in Pennsylvania? Many mattress suppliers have online stores, but it is still better to buy an organic mattress in Pennsylvania in person by visiting the supplier’s showroom. Drop by to explore the products that they carry, and ask questions about the mattresses that you want. That way, you can make a more informed decision when buying the best organic mattress for your needs. If you cannot visit their showroom, consider requesting a free catalog or get in touch with them by phone or email. 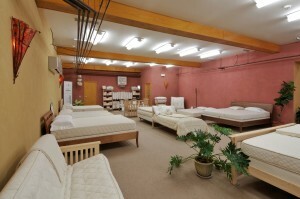 Seasoned organic mattress suppliers are always ready to assist you. The best organic mattress suppliers do not merely sell mattresses. They carry organic bedding, baby products, pet beds, pillows, mattress pads, towels, and blankets, too. That way, they can serve as your one-stop shop for organic bedding. Leading organic mattress suppliers in Pennsylvania are members of the Organic Trade Association and they carry products that are made following the Global Organic Latex Standard. Likewise, they are certified by Green America and accredited by the Better Business Bureau. The organic mattresses are made in the USA using the finest and certified organic and natural materials. All these credentials should make you feel confident about buying an organic mattress from the supplier.